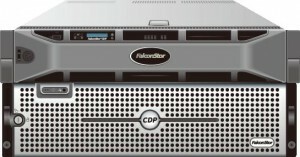 FalconStor® Continuous Data Protector (CDP) is a disk-based continuous data protection solution providing comprehensive backup, remote replication, and rapid disaster recovery (DR) to enable continuous data availability. It works in UNIX, Linux, and Microsoft Windows environments and protects application-specific data for Microsoft, Oracle, SAP, and other business applications, ensuring high performance and stability for even the most complex business environments. FalconStor Virtual Tape Library (VTL) is the industry’s market-leading virtual tape solution, superior in scalability and performance. Backups complete much faster and with higher reliability, little or no change is needed to the backup environment. Operations have no change. Backups simply get better. Highly sophisticated physical tape integration and security of the data complete the solution. Seamless data deduplication greatly reduces storage needs, reducing the storage needs by 95% or more. Customers are able to keep weeks or even months worth of data on disk, allowing for fast restores, eliminating concerns of tape-based restoration.